I love to explore new food products in the market, especially the ones that are endorsed by credible celebrities. 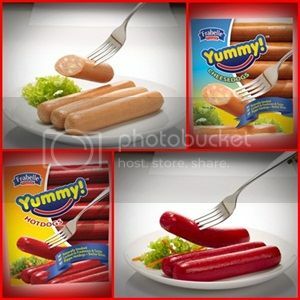 During my recent trip to the grocery, a new brand of hotdog product caught my eye, the Frabelle Yummy Hotdogs. I remember seeing a commercial with Chiz Escudero endorsing the brand and some cooking shows that featured the same brand so I gave in to my curiosity and grabbed a pack of Yummy Cheesedogs. I also dug a bit deeper on the manufacturer and product reviews before serving the wieners to my tots. It turns out that this brand has more than just hotdogs to offer. The Frabelle Brand is one of the leading suppliers of frozen seafood products in the market. I’ve probably tried one of their frozen street food fares like squid balls, kikiam, and orlian in the past without realizing it. Their recent venture in meat processing industry gives the consumers a good alternative to the brands that we have gotten used to. Frabelle brings the traditional and modern practices together by means of using old world culinary disciplines in food processing and state of the art technology in locking in the freshness and flavors of the food. They have earned certifications for Good Manufacturing Practice (GMP), Hazard Analysis Critical Control Points (HACCP), and AAA accreditation from National Meat Inspection Service (NMIS) in record time. Their commitment is to provide high quality and great tasting products that can give you best value for money purchases. The star of their meat product line-up is the Yummy Hotdog with a unique flavor that comes from 100% natural smoking procedure using imported woodchips. They also have Cheesedog and Jumbo versions of the Yummy Hotdog which the kids can definitely enjoy. 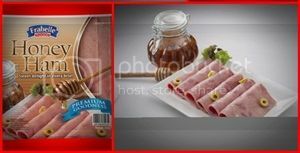 You can also enjoy the Smoked Bacon and Honey Ham which are flavored with pure honey fresh from the bee farm. 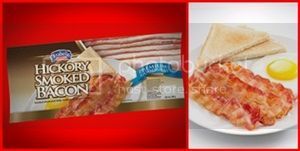 Another must try is their Pork Ham Tocino which is one of a kind too because it makes use of the meat from the leg or the ham leg. Their Longganiza Hamonado has sweet, spicy and garlic flavors that makes it interesting to try. Just this weekend, we did try Frabelle Hamonado Longganiza. 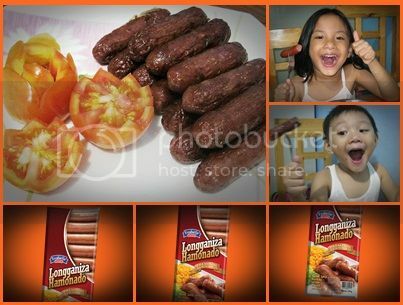 The beaming faces of my little kids are proof enough that they did like the longganisa even though I overcooked them. I’m more into native longganisa than the hamonado variant but this one had that spicy and garlicky taste I love in longganisa. Hubby, who has always opted for hamonado, found it wanting on sweetness though. We’ve already tried and liked three products of Frabelle and will definitely give their other products a try. sorry Anally, I don’t have the data you need. If you want, you can contact them directly via facebook https://www.facebook.com/frabellefoods/ to get answers. can i ask !? pwede po ba mamili sa outlet nyo ng worth of 1000 , sa item na hotdog ? Sorry but we do not have a Frabelle Food Outlet. We just get our household supply from the grocery. Here are some contact information that may help you in your query. 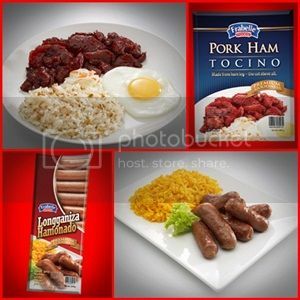 so delicious and convenien to my family and sons , i also try tocino and ham for baon of my two kids i would like to francise ah frabelle product how much to invest frabelle product.